This Saturday, April 1, join us for Made In Louisiana at the Southern Food and Beverage Museum, 1504 Oretha Castle Haley Blvd, from 12:30pm to 5pm. 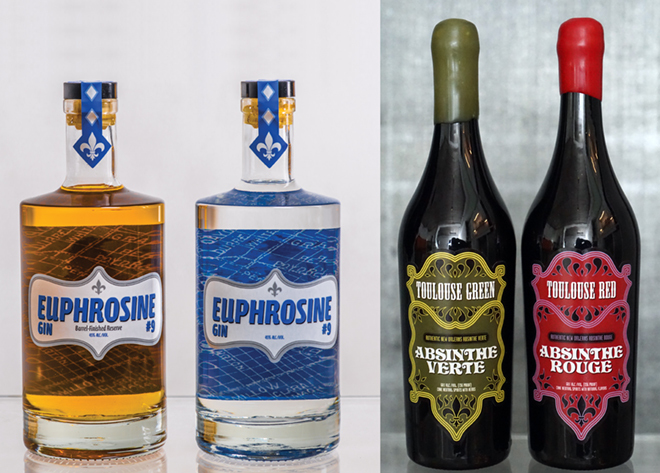 We’ll be pouring tastes of Euphrosine Gin #9 and Barrel-Finished Reserve, along with Toulouse Red, Absinthe Rouge, and Toulouse Green, Absinthe Verte. Note: Due to our participation in Made in Louisiana, there will be no Bottle Sales Hours on Saturday, April 1. However, we’ll be open on Sunday, April 2. Visit us at the distillery on Sunday during our regular hours of 10am – 2pm. This entry was posted in Atelier Vie, Barrel-Finished Reserve, Euphrosine Gin #9, Toulouse Green, Toulouse Red. Bookmark the permalink.